Here’s another hot CVS freebie. 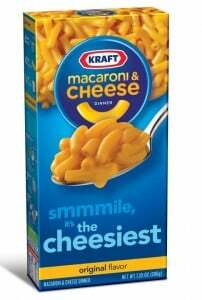 They’re having their Kraft Mac & Cheese (5.5 – 7.25 oz) priced at $0.99 from 11/18 through 11/21. They’re also giving back $0.99 in Extra Care Bucks, so it’s basically free.